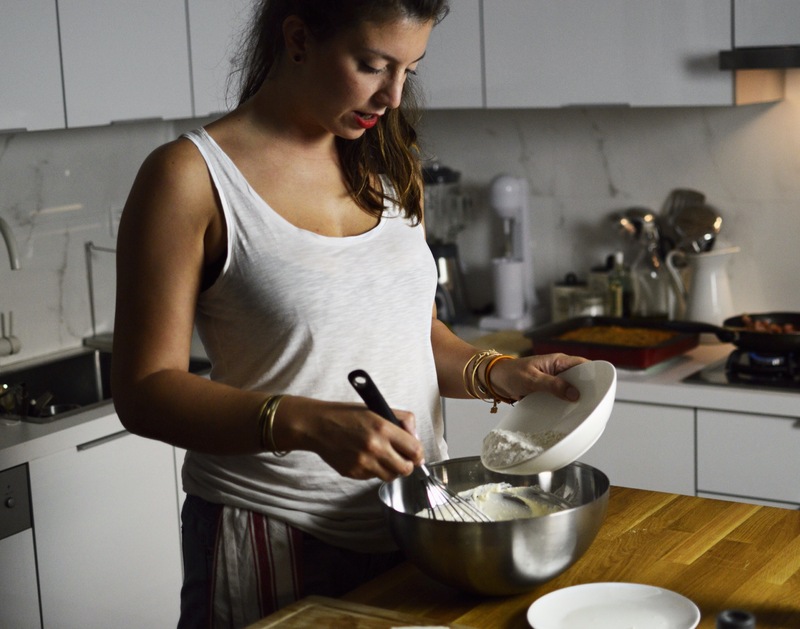 Marilou Pantaki Food Blogger and Head Cook answers in 10 questions. 1.What is Greece to you? Greece to me is the hot sun on my skin, sand between my toes and salt in my hair. Monastiraki- day and night. Drinks on the sidewalk and beers on a bench. The cool breeze on a boat’s deck. An unexpected visit with friends to the Acropolis. Drinking ouzo and eating mezes in a kafeneio full of older local villagers. Enjoying a walk on an island’s side streets. Exploring Greece’s beauties by car or train and finally, red, sweet tomatoes. 2.Tell us one place you suggest us for the next winter! I believe a perfect destination for the winter in Greece is Zagorochoria. It is in the northern part of Greece near the city of Ioannina. A mountainous region covered in forests with rivers and remarkable lakes. The Vikos canyon is a must visit! The traditional homes and chalets are made of stones and wood creating a majestic picturesque view. Visitors can do many activities such as trekking, hiking, mountain biking, horseback riding and rafting. The biggest reason I chose Zagorochoria though, is for the food. Exceptional homemade pies, local farm raised meats, and preserves such as jams and marmalades. A morning kiss. An unexpected and breathtaking love. A hug from a friend. Cuddling with my dog. The brotherly love. An explosion of taste in my mouth. Home. 4.What songs are the sountrack of your life? 5.Hungry? In which resto you should take your friends from abroad?? I would definitely take them to Aneton Restaurant in the northern suburbs of Athens. I have been visiting Aneton for over 5 years and its take on modern Greek cuisine is the epitome of traditional and modern Greek cooking blended together. Imagination, the freshest ingredients, exceptional service and the best value for money are what make Aneton a gastronomical destination! 6. A hotel that made you feel like home?. Trikolonion in Dimitsana was a great experience! comfortable rooms, the smell of wood burning in the large fireplace and the traditional breakfast made my stay unforgetable and super comfortable. 7.Your next trip will be ..where? I would love it to be Cuba, India or Japan. I can’t wait to get to know their culture, people and food. But my next trip will take place in Pelion for Christmas holidays! 8.Your secret of having a great time.....Tell it now..
Be yourself. Pretending being someone else, it’s just taking away the magic and ruins the moment. 9. Five things of Greece you can't live without ? Sun. Sea. Islands. Food. The people. 10. Which is your favorite spot of the city you live? It depends from the time and the weather. Οn A sunny day I love walking in Athens’ center, shopping for my kitchen, eating ethnic food in the small neighbourhoods and searching for a new face or place to write about in my blog. On a cloudy day i prefer to go to the southern suburbs of Glyfada to be near the water and enjoy a hot chocolate while looking out into the sea.